Won’t shut up the delusional remainers either. No deal is currently the path of least resistance. Nothing has to happen for it to happen. The only glimmer of hope is that the recent amendments path the way for something far more sensible. Oddly, the actual date of exit isn’t specified in UK law. Edit. Yes it is. But it can be amended by secondary legislation so doesn’t need an act of parliament. She goes for a soft, cross party Brexit, which has to include a Customs Union, a large bunch of her hard Brexiteers mutiny and the Tory party splits. Very easily done because the one thing that has a majority is ensuring the No Deal default doesn't happen. That majority still has to do something significant before A50 expires where all treaties with the EU cease to exist automatically overnight. Difficult not to think that somewhere in deepest Surrey there’s a W.I. cake stall missing a volunteer. Well said Davie boy,you knew it made sense. At least you have given us all a laugh for the last 2 1/2 years. I couldn’t stand her as Home Sec at the time. Little did I realise the heartless, scheming cow would end up with the top job. She’s chuffin useless. Cameron is still my worse PM in my lifetime choice, due to him being so useless and weak, but she’s a close second. They make Blair look competent and statesman-like, and he was a twåt. Edit: Gove too but he reminds me a bit of Goebbels. Indeed. Gove not so shabby either. Gove is absolutely tearing Corbyn to shreds here. Brilliant performance. Never thought I’d say ‘brilliant’ and ‘Gove’ in the same sentence but there you have it. 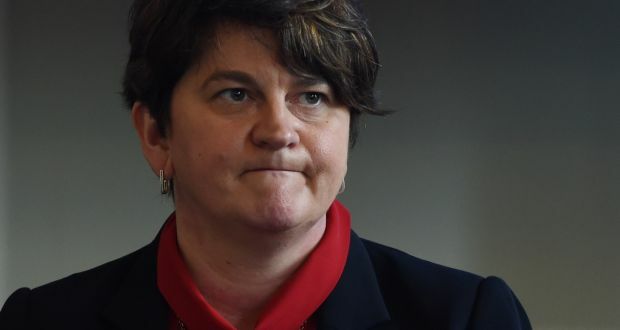 Arlene Foster has said she’s going to support the government. But then I don’t know if she can be trusted after murdering Eddie Royle and trying to poison dot cotton for her bingo money. It was on a plate for him mind. Corbyn’s a walking disaster for Labour. Right. The majority was 19. The DUPs 10 votes decided it and were bought by the Tories for a billion quid. How the hell has it been allowed to get to this? Votes have been bought for far more previously. And for far less serious issues. The reality, however, is that even without the agreement, the DUP would have abstained and the government prevailed. The DUP would not vote to have a Corbyn government given his historical allegiances. Another Labour leader and it may be different, but not with Corbyn. People keep voting for them. Yeah I know, doesn’t make any sense to me either.